Le solar controllers are used to manage solar thermal systems and domestic hot water for residential and commercial use. 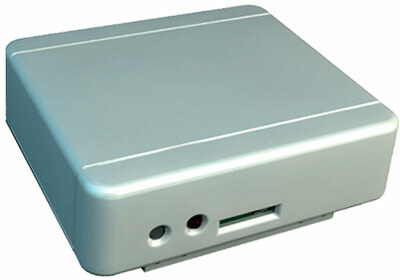 difference controller for managing temperature in simple solar systems with 1 tank. 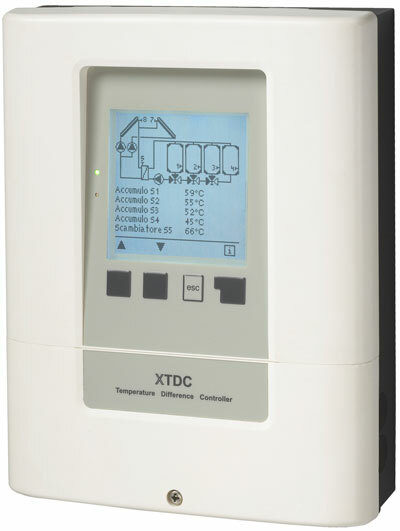 difference controller for temperature management in simple solar systems with 2 1 or 2 circuits and tanks. 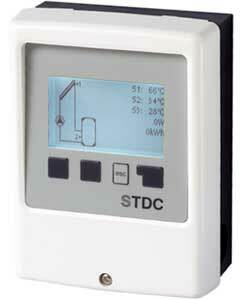 difference controller for temperature management in simple solar systems with circuits 3 and 1 3 to tanks. 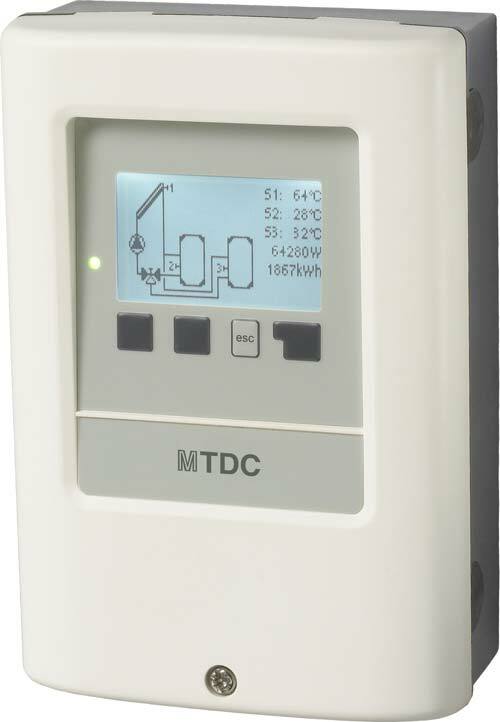 difference controller for temperature management in complex solar installations up to 4 accumulations. Connected to the control units in addition to the storage of system data allows remote management. The units are multilingual, the software is constantly evolving and are released periodically updates that optimize control for each plant situation and new algorithms that improve energy efficiency.